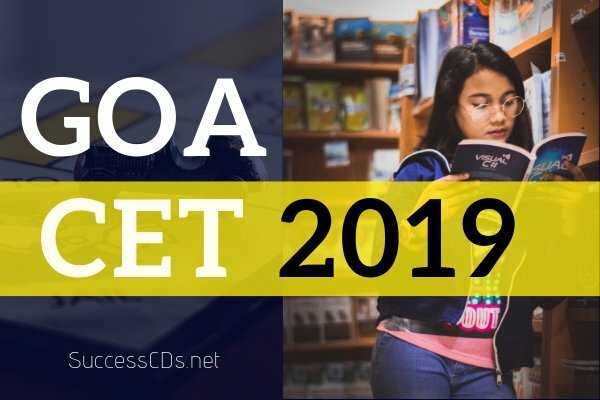 Goa Common Entrance Test (GCET) 2019 is a state level common entrance examination, for UG engineering and Pharmacy admissions. Admission to MBBS, BDS, BHMS (Homeopathy), BAMS (Ayurveda) and Allied Health Sciences and Nursing courses will be done on the basis of NEET 2019. For Architecture courses, the admission will be granted on the basis of NATA 2019 scores. After the successful processing of counselling, the candidates will be allotted the institutions and seat as per their ranks. Below is the table given for candidates who belong to the reserved category and percentage of seats reserved for the admission. Take a print out of the application form and submit the form in person at the notified Application Reception Centre according to the centre provided. Along with this, pay the demand draft of Rs.2000/- in favour of “Director of Technical Education” at Panaji, and three photographs. Obtain the Photo-Admit Card, from the Admission Committee, on the same day.